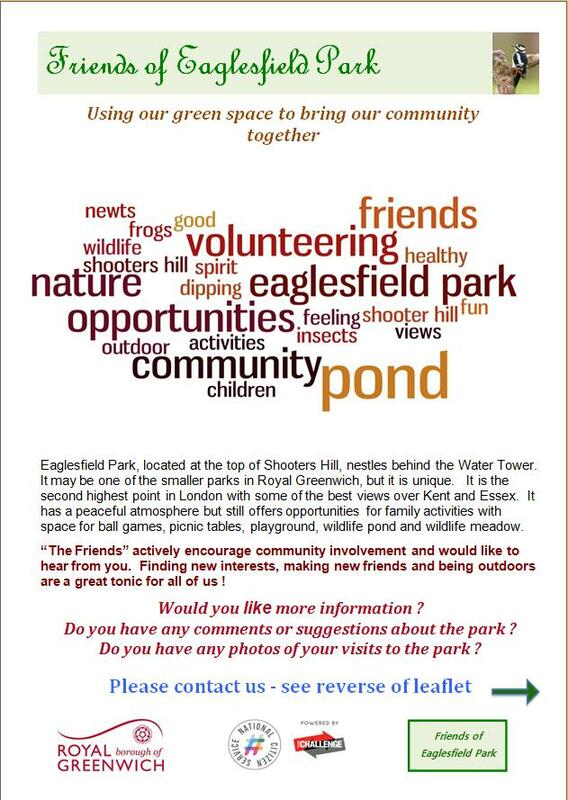 It is a long time since my last email, but I hope our blog at http://eaglesfieldpark.org/ has kept you informed about FOEP activities and progress of the pond and surrounding meadow. It is only 2 years since the pond and meadow were restored and already they are providing a wonderful environment for the wildlife of our local area. 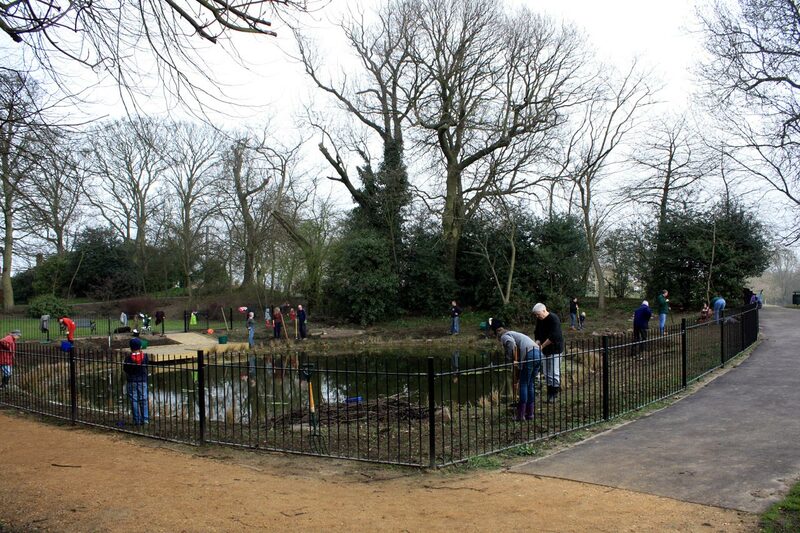 During the year we have continued with monthly pond/meadow maintenance, planting, tidying and pond dipping and have enjoyed some beautiful weather. However Autumn is now upon us and we need to make sure all is prepared for Winter so that we can look forward to the new Spring. Probably our last opportunity to prepare for Winter will be Sunday 26th October, between 11.00 am and 1.00 pm. 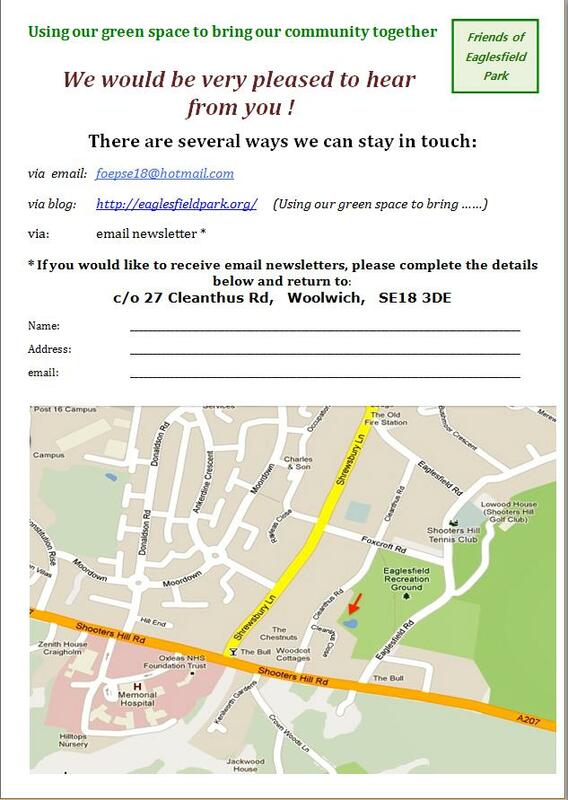 We would really welcome and appreciate any time you could spare to help us ! 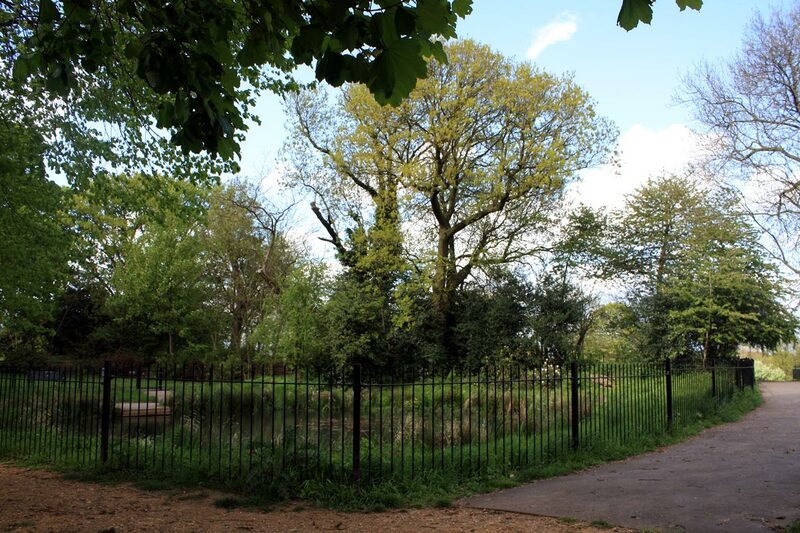 We are hoping to thin the pond vegetation and to rough rake the meadow/sow wildflower seeds (subject to whether or not the Council’s Parks and Open Spaces Dept have been able to cut the meadow). Of course, “Weather Permitting”. If you are able to join us, don’t forget to wear old clothes and wellies. I am afraid we are unable to supply tools – could you kindly bring your own ? Particularly useful would be garden rake (not lawn rake), spade/fork and don’t forget gloves. The Lilly pond has come a long way in the last few years, from the overgrown eyesore with broken railings at the end of 2011 to the verdant wild-life friendly pond of today. Some of the photos showing the transformation are included below. As well as the regular pond tidying and pond dipping sessions, the Friends recently hosted a group of young volunteers from National Citizen Service (NCS) The Challenge for a day. The 15-17 year olds took on two tasks. One was gardening. 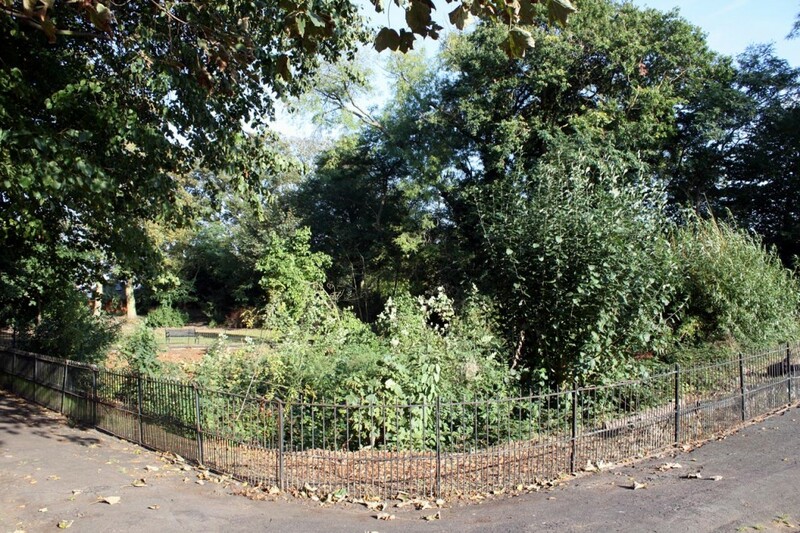 Some of the park’s pathways were being obstructed by low and overhanging branches of holly, hawthorn and acacia trees or narrowed by brambles and nettles: the volunteers cleared these to make the paths more easily passable. They also delivered copies of the leaflets shown at the top and bottom of this post to over a thousand homes around the park. There are lots of pictures and some videos of the volunteers in action and the results of their work on the Friends’ blog.